Reward customers to bring them back! - Pye Brook Company, Inc. Reward customers to bring them back! - Pye Brook Company, Inc. Buyer rewards programs are the proven way to build loyal customers that keep coming back to your store. 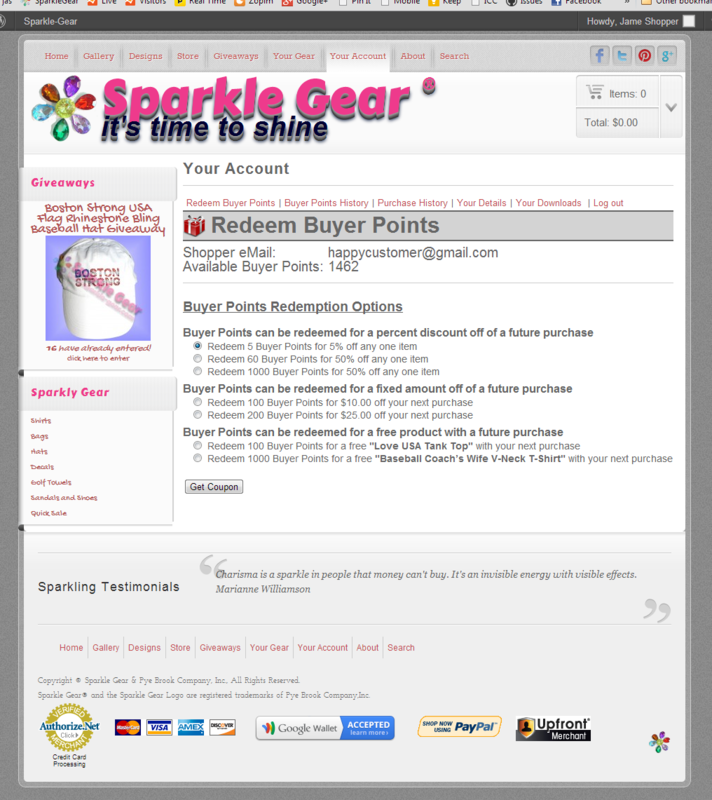 Now you can create your own rewards program for your WP-eCommerce based store! Customers accumulate points by purchasing products. (Soon they will be able to earn rewards by doing other cool things such as liking your facebook page or tweeting about your site! ) Then they can redeem their reward points for any of the gifts that you have setup. Plugin doesn’t customer registration to accumulate points!